The modern day Jonah at the center of Joshua Max Feldman's brilliantly conceived retelling of the Bible's Book of Jonah is a lucky guy: healthy and handsome, with two beautiful women ready to spend the rest of their lives with him, and an enormously successful legal career that gets more promising by the minute. He's celebrating a deal that will surely make him partner at his firm when a bizarre vision at a party changes everything. Jonah tries hard to forget what he's seen, but this disturbing sign is only the first of many he will witness, and before long his life is unrecognizable. 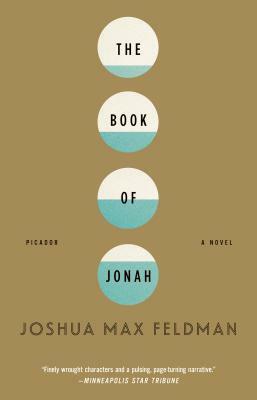 As this funny and bold novel moves to Amsterdam and then Las Vegas, Feldman examines the way we live now while asking an age-old question: How can we explain the unexplainable? Joshua Max Feldman is a writer of fiction and plays. Born and raised in Amherst, Massachusetts, he graduated from Columbia University and currently lives in Brooklyn. The Book of Jonah is his first novel.